Dubai is home to some of the world's most opulent hotels, but not all the best places to stay in Dubai are out of the price range of regular folk. It may be full of glitz and bling, but scratch beneath the surface (quite hard!) and you can find authentic little properties that are ideally located for exploring the historic sites, and give you a sense of what the place was like before the mega-resorts moved in. Dubai is a glamorous, sunny destination. Perfect if you're craving the beach in October and you don't want to fly long haul from Europe. Even for families. The food is varied and facilities are modern and air conditioned. From the boutique shopping, to the polo and the races, to the Gold Souk, and the man-made coastline. But while it can be hectic, and expensive, it doesn't have to be. Beyond the glitz of the city is the peace of the desert. Downtown Dubai is where you’ll find both the Dubai Mall, which is the world’s largest mall, and the Burj Khalifa - which has been the world’s tallest building since 2008. It’s also home to the Dubai Fountain, which is the world’s largest choreographed fountain system. And the Souq Al Bahar, a luxurious Arabian market. Jumeirah Beach, which follows the coastline west from Dubai Creek, culminating in the seven star Burj Al Arab Hotel - which occupies its own island, is probably one of the best known places to stay in Dubai. The hotels and resorts on this strip are big and fancy. Deira, on the other side of Dubai Creek, is probably busier though, this is where you’ll find the souqs and the wharves lined with traditional dhows. As well as the dhows and the fish souqs, the waterfront is lined with more luxurious hotels and resorts, especially as you head down the promenade towards the man-made promontory, the Corniche. Bur Dubai is the historic quarter, and has the Dubai Museum, the Grand Mosque and Sheikh Saeed House. There are many ways to treat yourself in Dubai. From relaxing on a beach (many of them have waiting staff) to visiting a spa, playing a round on a world-class golf course or indulging in a days' shopping. The Deira Souks - situated in the heart of Old Dubai, stroll the labyrinthine souks and pick up a bargain from gold to spices and much more besides. Jump on an old Abra and take a jaunt across the Dubai Creek - it costs next to nothing and the view is fantastic especially at night. The Dubai museum is a must if you're interested in the history of the Emirate. It is situated in the Al Fahidi Fort. For adventurous types, you'd be mad not to do a spot of dune bashing or quad biking. Desert safaris can be easily arranged. 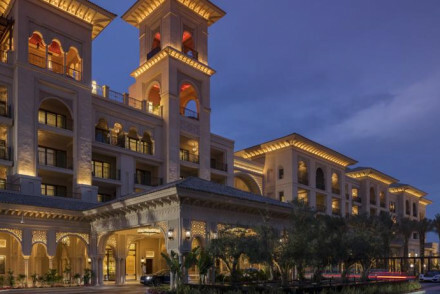 This emirate is a busy place year-round, but the best places to stay in Dubai get booked up quickly during the winter months, so if you want to get some winter sun, you'll need to plan ahead. 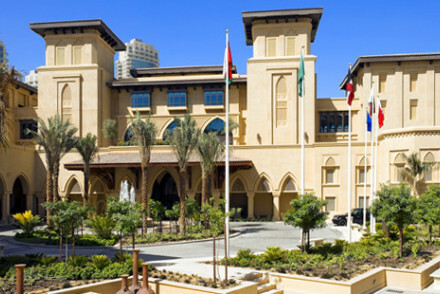 The Palace Downtown Dubai is a classic hotel which bridges the gap between the modern glass giants and a sultanate palace. One of the best places to stay in Dubai if you're looking for comfort and elegance - there's a relaxed, almost colonial air, and not too much flash. If you want all the glitz and glamour Dubai can muster you need The Address Downtown Dubai, a luxurious skyscraper with seven swimming pools, an immaculate spa, award winning restaurants, private everything and wonderful views of the Burj Khalifa. Al Qasr at Madinat Jumeirah is a proper sultanate palace with all the flash. Rooms and suites are opulently filled with antique loveliness, there's a vast spa, sea views and private this, that and the other. This is a grand affair, with a pool complex so big that you can use their Venetian style gondolas to get around it and 44 restaurants. The Jumeirah Beach Hotel is one of those beautiful glass and steel structures rising out of the desert which you see in all the photos of Dubai. It might not look family friendly, but it has its own beach, a number of pools, an excellent spa, a collection of restaurants, kids clubs, you're right by the marina, AND you have free access to the Wild Wadi Water Park. The Ahmedia Heritage Guest House is a small, romantic hotel with a lovely courtyard and its own art gallery. The decor is traditional and you're right near the souks. 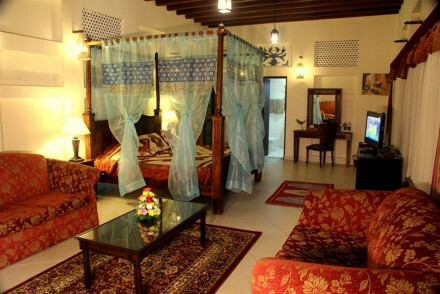 The Barjeel Heritage Guest house is a beautiful Persian style guesthouse with nine comfortable, romantic rooms decorated with traditional antiques. There's a lovely waterfront restaurant which serves traditional cuisine. And prices per night start at just £61. 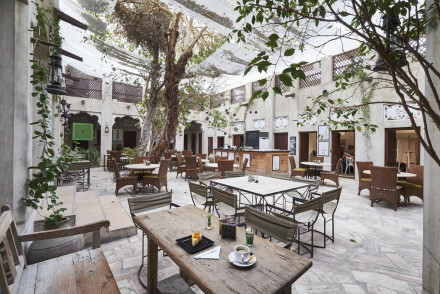 The XVA Hotel is a fabulous alternative to Dubai's grandiose palatial hotels - an Arty, Arabian style property decorated with art, antiques and understated furnishings. In the oldest part of Dubai Creek, near the Dubai Museum. 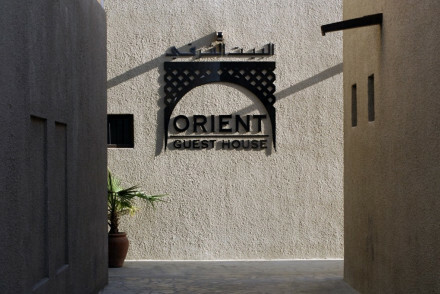 If you're looking for a smaller hotel, one of the best places to stay in Dubai is the Orient Guest House, which has 12 rooms in the Bastakiya Heritage Area near Dubai Creek. Traditional and romantic, this is a quiet spot within walking distance from many of Dubai's main attractions. 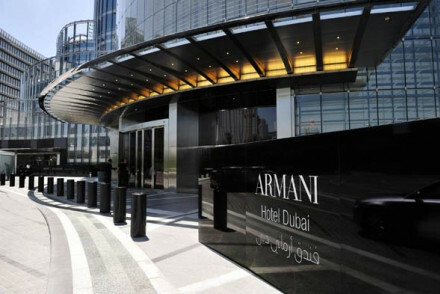 The Armani Hotel is by 'that' Armani, so offers a flavour of Milano in the Burj Khalifa. Sumptuous, but muted, compared to many of the hotels around it, the Armani has clean modern lines and neutral shades, so it's popular with business travellers. 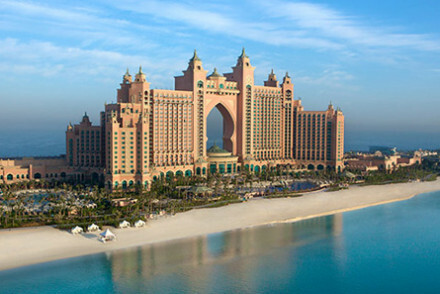 Dubai doesn't do things by halves, and there aren't many places this is more obvious than at Atlantis the Palm. On the ocean edge of the man-made Palm Jumeirah, this deep sea themed hotel is… Wow. It's not just a resort - there's a huge water park, an aquarium, a huge spa and shopping. There's a private beach, tennis courts, you can learn to scuba dive, or swim with dolphins. And there's a crazy array of restaurant options. Desert Palm is a secret, 24 room desert hideaway, with facilities which could cater for more than double the number of guests. The city is your backdrop, but your immediate view is of the stunning green of the polo fields. For total privacy book your own villa, complete with your own pool. Fly to Dubai International Airport located just 5km (3 miles) from the city centre. Best time to visit - Dubai is a year-round destination, but to avoid the searing heat of the summer months plan a trip between November and March where the temperatures average at around 24 ?C. 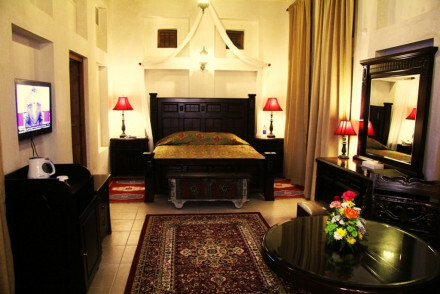 A wonderful guesthouse in traditional Persian style with romantic bedrooms. Large rooms have four poster beds, killim rugs, and attractive furnishings. Lovely waterfront restaurant and terrace serves traditional cuisine. An excellent value choice. 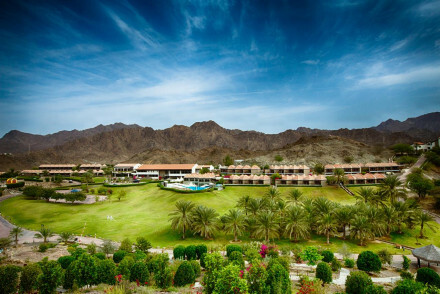 Luxury hotel set against the dramatic backdrop of the Hajar Mountains. Great for families and couples alike, with a kids' as well as adults-only pool. World class cuisine served at the two restaurants and a bar and an indulgent spa to unwind after a busy day exploring the mountains by bike or foot. 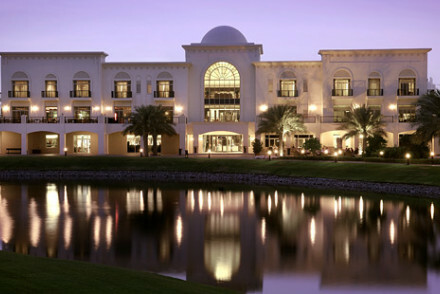 A fabulous alternative to the grandiose palaces of Dubai. An arty Arabian hotel filled with antiques, artwork, and understated furnishings. Chic rooms surround a charming inner courtyard and cafe. A wonderful choice for a more authentic taste of Dubai. 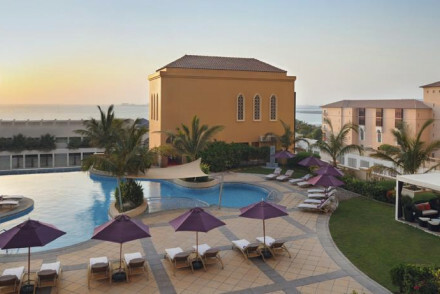 A romantic desert resort and spa just outside Dubai at a slightly more affordable price than most. Luxury canopied suites with private balconies, top of the range spa and therapies, excellent restaurant, and lots of desert activities. Family friendly too. 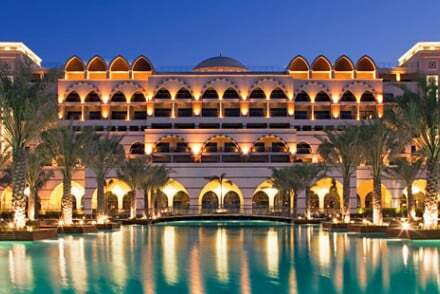 A sultanate palace with unrivalled facilities, views, and opulence. Rooms and suites filled with beautiful furniture, private balconies, and sea views. Restaurants, bars, a mammoth spa, and anything one might desire. Luxury and convenience on a grand scale. Restaurant - 44 restaurants and bars. A fantastic alternative to the expensive hotels. A stylish little guesthouse with a charming courtyard, lovely authentic bedrooms, and access to a nearby spa. Ideal for those looking for something a little less ostentatious. A comfortable hotel designed mainly for business travellers. Chic contemporary rooms and suites with views of the Burj Khalifa, excellent restaurants, pool and spa facilities. A classic hotel with a championship golf course surrounded by gardens and lakes. Palatial rooms and suites are elegant in style with all the mod cons and balconies. Excellent restaurants, pools, and a spa. Ideal for golfers. Active Holiday - The championship golf course attracts avid golfers. Swimming Pool - With great views over the 18th green! Dubai’s version of a secret desert hideaway, the Arabian sister of the Huvafen Fushi. With top notch spa, terrace overlooking the polo fields and more facilities than you can imagine. 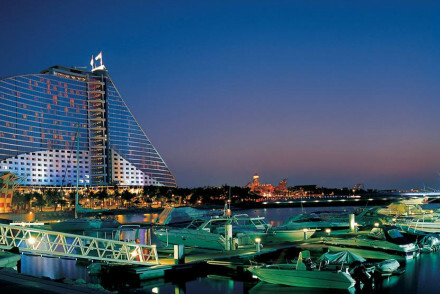 Family friendly beachside hotel with great views of the mighty Burj and unlimited access to the Wild Wadi Waterpark. Ideal for those who want a bit of city action too with the downtown area and shopping close by. Child friendly - Kids club on site including one for teenagers. Plus unlimited access to Wild Wadi Waterpark. Swimming Pool - Five different pool including one children's pool. An Armani hotel that cuts a Milanese dash in the Burj Khalifa. Sumptuous, but muted, luxury with stunning views, excellent restaurants, many pools, and an immaculate spa. A popular choice for tourists and business travellers as much as the city's dwellers. Sights nearby - The hotel is situated in the Burj Khalifa! A classic hotel that bridges the gap between Dubai modernism and old age sultanate. Sophisticated rooms and suites in earthy tones with elegant furnishings. Enormous pool, excellent restaurants, and fabulous spa. 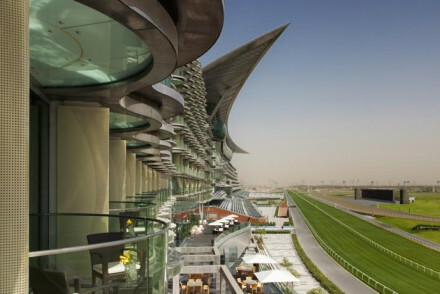 Luxury hotel overlooking Dubai's racecourse, just a short drive from the business district. Large rooms and suites, most with balconies, are lavishly kitted out. Wide range of restaurants and bars to choose from and so many activities on site, you'll never need to leave. A lovely boutique hotel in the Al Ras quarter of Dubai. Chic rooms with gorgeous fabrics and antique four poster beds. Lovely breakfast courtyard and an art gallery. A romantic spot with authentic Arabic decoration. Four poster beds - Beautiful rooms with antique four poster beds. Sights nearby - Grand Mosque, Dubai Heritage VIllage. Local markets - Spice Souk, Gold Souk. Luxury in a skyscraper like no other. Seven swimming pools, an immaculate spa, award-winning restaurants, suites with private terraces, spas and pools, and views of the Burj Khalifa. Dubai the Dubai way! Spa breaks - Immaculate spa and seven pools. 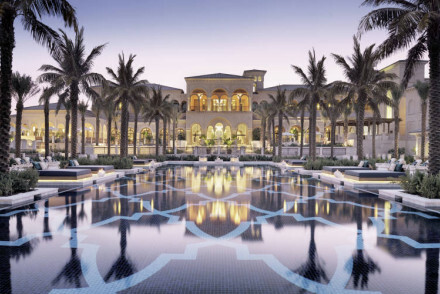 Fabulous Five Star luxury on the palm. Palatial rooms and suites, contemporary in style, have private balconies and all the mod cons. Excellent restaurants, tennis courts, private beach, spa, and fantastic sea views. Flamboyant, deep sea themed hotel where nothing is done by halves. Perfect for families, with activities galore and dedicated clubs catering from 3-18 year olds. Other Activities - Waterpark, Aquarium and swimming with the hotel dolphin. Child friendly - Dedicated kids clubs for all ages. 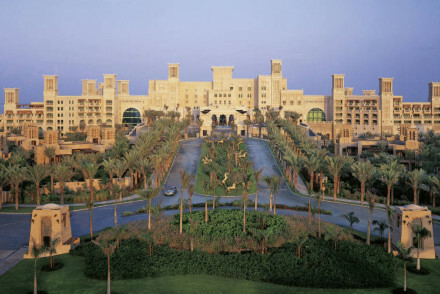 A stunning resort on the Palm with unbeatable facilities and opulently contemporary rooms and suites. Tennis courts, private beach, impeccable spa, Michelin star restaurants, and unbeatable views. Family friendly, romantic, and certainly luxurious. Foodies - 3 Michelin Star chef. Luxurious, family-friendly resort hotel with private beach, watersports, tennis, golf and a superb spa. Rooms are super-sized, contemporary classic in style and all have balconies with city skyline or sea views. 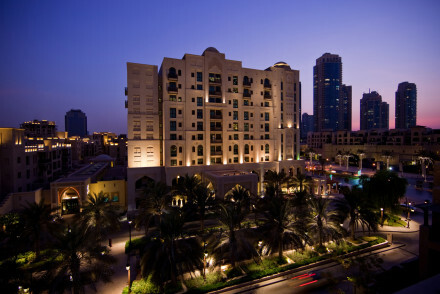 With faultless service, the Four Seasons is perfect for family fun or chilling out. 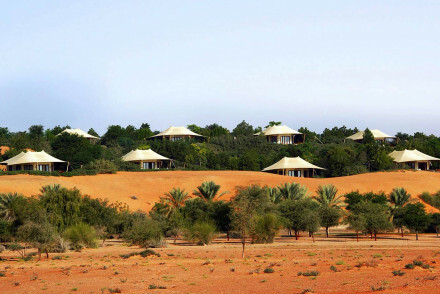 A luxury Five Star tented camp in the desert. Utterly romantic canopied suites with teak furnishings, killim rugs, and private pools. 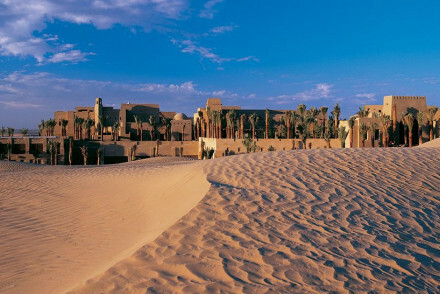 Fabulous local cuisine, excellent spa, and desert activities including camel racing. An Arabian Nights adventure for romantics. Tented Camp - Luxury tented suites.